Since 2011, our award-winning Ambassadors have been welcoming visitors to some of the UK’s most iconic and popular destinations. Dressed in their distinctive bowler hats and 3-piece suits, they raise the profile of the clients they represent and soon become a vital part of the local community. With a mission to ‘make someone’s day’, our teams are trained to spot and approach people who might need our help; the lost tourist searching for the local sights; point the hurried businessman towards the right office for their meeting or simply orientate the confused resident towards the right bus stop! The majority of our clients are Business Improvement Districts or Private Landowners. We work closely with our clients to support their membership or stakeholder engagement programmes. These vary from monthly or quarterly visits to a more flexible ad-hoc approach. All visits are scheduled via our bespoke street management app STRATA which allows us to record the interaction and give feedback to the client in real time. Our Ambassadors also get involved in regular business engagement events such a retail breakfast meetings, social events or seasonal campaign briefings. Identifying, logging and reporting issues such as graffiti, fly posting, flooded roads, blocked gullies, abandoned vehicles and vandalism are just some of the potential issues our Ambassadors log on a daily basis. 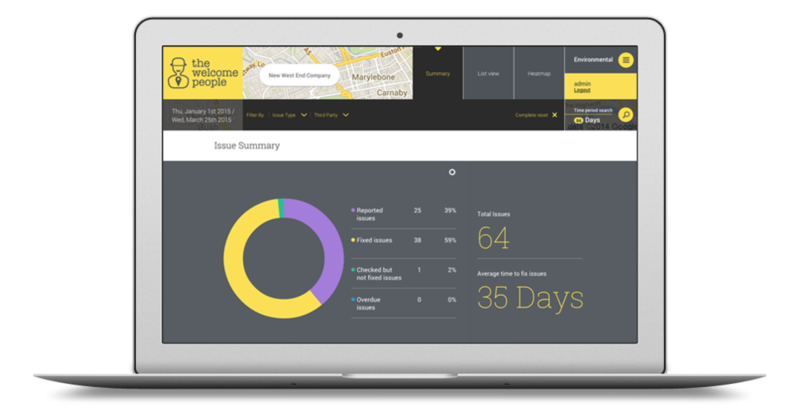 Using our street management app STRATA, issues are reported and sent to the relevant agencies to fix, whilst simultaneously starting a process that measures the response against an agreed SLA. Some of our clients have decided to appoint a dedicated Street Manager (often supplied by us), to oversee the process from start to finish and liaise directly with the relevant local council. The flexibility of STRATA means we can prioritise the issues that matter most to our clients and their stakeholders. Almost any issue can be recorded – from abandoned waste to the cleanliness of phone boxes. Providing intelligence to third party agencies such as local councils, local police and outreach services, we can help them prioritise their resources and get the best results. Our clients can accurately define where they have ‘added value’ to their stakeholders by providing a transparent reporting history and trends. Answering a call from our some of our existing clients, since 2015 we’ve also provided visible, accountable and above all effective Security Officers to reassure the public and deal with issues of Anti-Social behaviour. 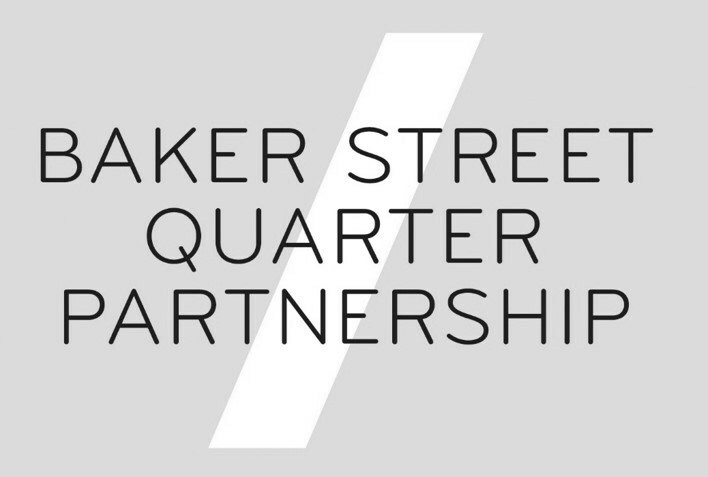 Our teams have made a big difference in the Business Districts of Victoria, Northbank and Baker Street in the City of Westminster, in the London Borough of Richmond and in the Colmore Business District of Birmingham. Our Officers are equipped with STRATA which allows them to report and update issues in real-time, offering total transparency and accountability to our clients. Our data is also shared with local Police and outreach teams, to ensure a joined-up approach to the social problems affecting our city centres. We pride ourselves on our approach to dealing with some of todays’ more difficult social issues. The increase in homelessness in our towns and cities and the vulnerability of some of those we encounter, means we do things differently. We treat those we meet as human beings, some of whom are genuinely vulnerable and some sadly, who know no other way of life. By working closely with Police, local councils and outreach services, we try and assist those who need help while maintaining a safe environment for other members of the public. All our officers are licenced by the SIA with a history of security prior to joining the company. All have been vetted to BS7858 standards with an external vetting agency. Our entire company, including our specialist security division (The Security People) is ISO9001 accredited in Quality Management Systems and is an Approved SIA Contractor. 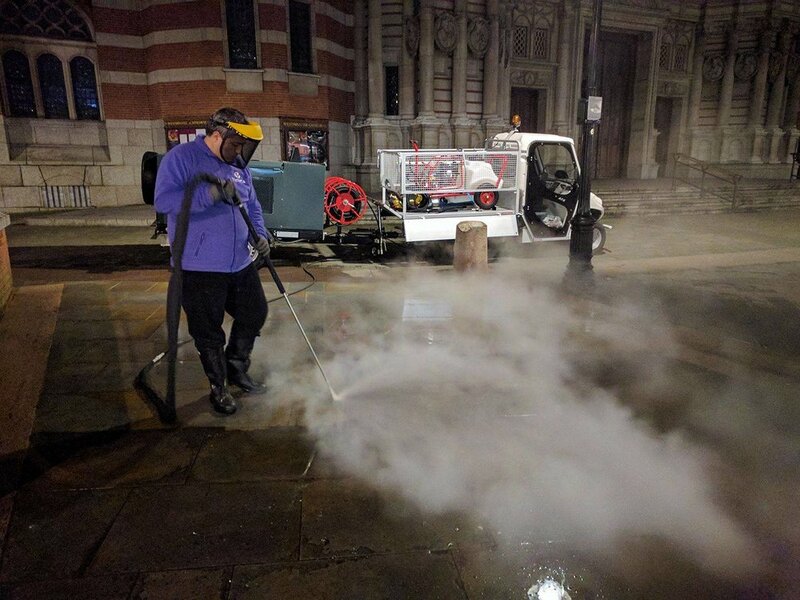 In March 2017, we added Cleaning and Janitorial Services to our Portfolio when we took over the street cleaning contract for the Victoria Business Improvement District in Central London. This has since been followed by teams in the Hatton Garden and Northbank Business Improvement Districts. Our staff are equipped with the latest jet-washing technology - using no chemicals, just hot water at high pressure to keep the pavements sparkling. During the daytime, a team of friendly janitors patrol the district, keeping the area spick and span. Our Cleaning Team also use STRATA to record the areas they clean, the graffiti they remove and the rubbish collected. The team complete the same induction and customer service training as our Ambassadors & Security Staff, and are dressed in smart, colourful BID branded uniforms. Their tasks include litter picking, graffiti removal, sharps collection, cleaning of phoneboxes, removal of detritus left by the homeless, removal of flyposters/stickers and the cleaning of public garden areas. We also offer an on-demand janitorial service, where team members respond to the needs of local businesses, clean regular problem areas, flush pavements outside food and beverage establishments and areas around bins. We also respond to local waste issues reported by Ambassadors and Security Officers via STRATA. Finally we use Flowplant equipment to deep clean pavements and public spaces to ensure the area is always looking sharp. Using just hot water and variable pressure to remove chewing gum and stains, the results speak for themselves as illustrated above. 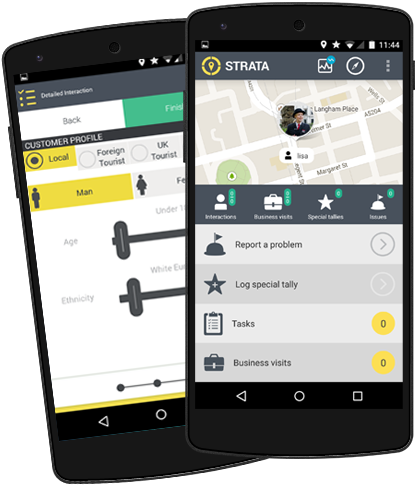 STRATA from The Welcome People, is an intelligent, dynamic mobile app specifically designed for organisations involved in street management and placemaking. STRATA enables you to collect all the data you need; delegate your staff and third party suppliers; communicate with your stakeholders and manage your front-line resources across street cleansing, security and customer service functions. Designed and developed by the UK’s leading provider of street management services for Business Improvement Districts (BIDs/BIAs), STRATA delivers real benefits to those involved in operational management. The Welcome People was established by David Miller and Calvin LaCock in September 2011, to provide visitor welcome and street management services to London’s West End and Victoria. Answering a brief from local Business improvement Districts to change revitalise their existing Ambassador services, we offered a fresh perspective. We put customer service at the forefront, recruited staff from hospitality rather than security backgrounds, changed the uniform to distinctive three-piece suits and bowler hat, and made accountability the key driver of the business. The results were instant – with a doubling of customer interactions in the first year and continued growth ever since. Since then we have grown to more than 150 members of staff and are now working with clients across the country, from Exeter to Leeds and Canterbury to Chester. We’ve also expanded our offering to include accountable security and street cleansing services. We are Investors in People and are proud and passionate about what we do. David set up The Welcome People in 2011 with Calvin, and is responsible for strategy, finance, HR, Image and client services. Calvin looks after STRATA, our bespoke street-management app, leads on Cleansing, as well as working with David on strategy and client liaison. Antonio joined The Welcome People in 2011 as an Ambassador for Regent Street. He was subsequently promoted to Supervisor West End, then Area Manager before becoming Operations Manager in 2015. He was promoted again in 2017 to Operations Director. Eleni has been with us since 2015. She started as an Ambassador in Victoria, before moving to Croydon as Site Manager. In the summer of 2018, Eleni moved to Head Office as is now our Client Services Manager. Stefanos joined us in 2014 as an Ambassador in the West End, before being promoted to Site Manager ins 2017. Since the summer of 2018, he’s been our Duty Manager, looking after our Ambassador teams in Central London. To get in contact with us, please fill in the form on the right.